Incredible traditional new construction on over an acre on the Forest Hills/Belle Meade line. Totally private estate lot, but only 1 mile from the Belle Meade Country Club and a short drive from the shopping hubs of Green Hills and Belle Meade. Built by Colclasure Company, voted "2016 Best Builder in Nashville" by Nashville Lifestyles Magazine. Modern town homes designed for the best of urban living--located off 8th Avenue and only minutes from WeHo, SoBro, 12 South, Vanderbilt, and everything Nashville has to offer! 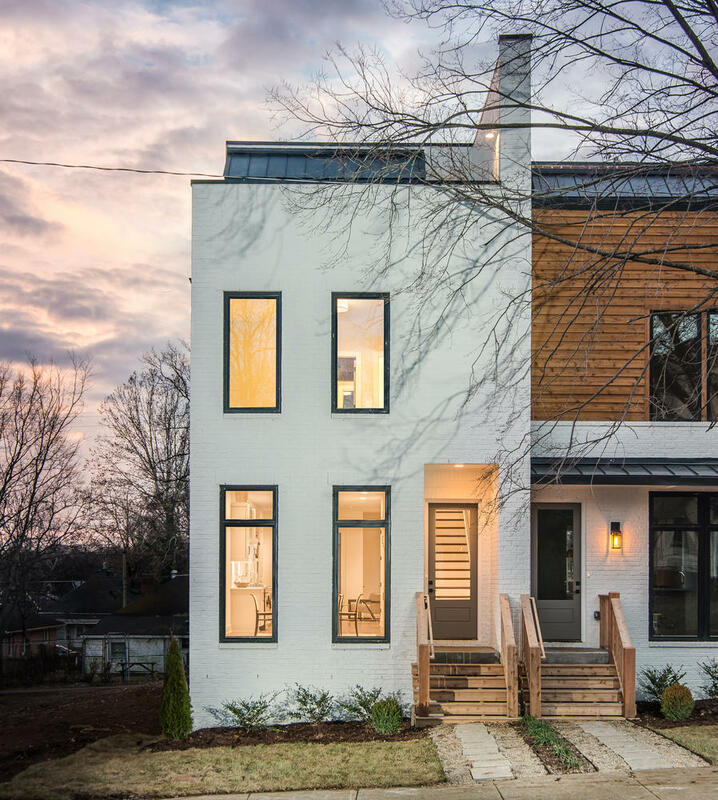 Stunning modern classic design by P SHEA DESIGNS, one of Nashville's most sought-after home design firms. Exterior courtyards and three levels of living lead to stunning views from the top level bonus room and rooftop deck with fireplace. 5 bed, 7 bath with study, multiple dining spaces, impressive kitchen, huge great room and expansive outdoor living area with plenty of room for a pool, spread over 6,000+ square feet. Located in the heart of Green Hills, one block from Harpeth Hall and and a very short drive from the best of Green Hills shopping and dining. Zoned for Julia Green Elementary. Two modern attached single-family homes, designed for the best of urban living. Located off the burgeoning Charlotte Pike corridor, and mere minutes from downtown, this hilltop setting offers stunning vistas of the urban core. Featuring three levels of sleek, contemporary living space plus an attached garage and rooftop deck. Starting Early 2017. 5,860 square feet of stunning contemporary/traditional style on a secluded acre+ lot in the heart of Green Hills--totally private yet close to everything! Built by Colclasure Company, voted "2016 Best Builder in Nashville" by Nashville Lifestyles Magazine. 5,919 square feet of stunning contemporary/traditional style with 6 bedrooms and 7 baths, a separate office/pool house, huge covered outdoor living area with wood burning fireplace and outdoor kitchen, full home automation, stunning custom kitchen, too many details to list! There were 2,954 closings reported for the month of November, according to figures provided by Greater Nashville REALTORS®. This represents a 7 percent decrease from the 3,177 closings reported for November 2017. Year-to-date closings total 36,633 a 1.6 percent decrease compared to the 37,236 closings reported through November 2017.